When a large part of your marketing strategy is based on social media outreach, giving back to those who help you is a must. Not only do savvy marketers display good manners and consideration for others, they also make the most of social platforms to win customers, clients and brand ambassadors through conversation and reciprocity. The variety of tools available enable a plethora of creative ways to do this. But first, you have to be looking for them. 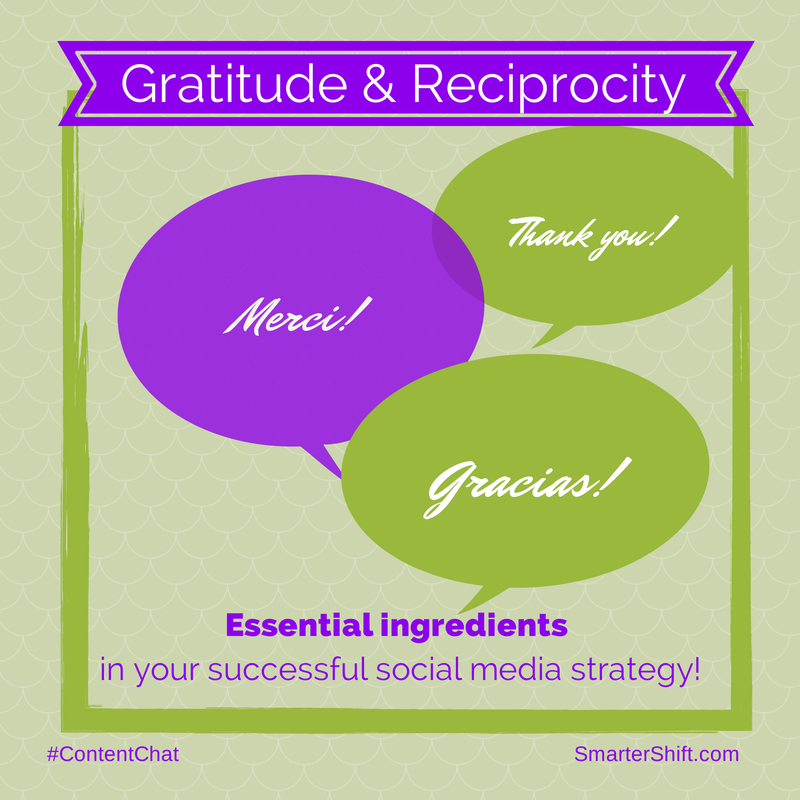 This week on #ContentChat, we focused on the essential content marketing components of thanking and reciprocating your online community. Our open discussion drew quite a few professionals who shared useful tips. Check out our summary below.